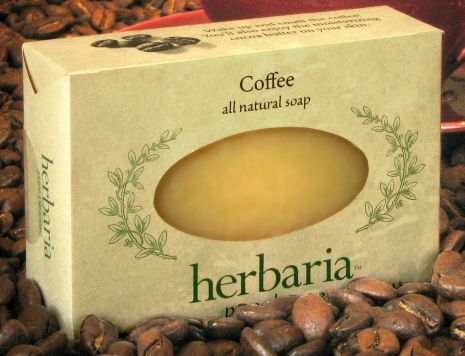 “Why coffee soap?” you may ask. Because the aroma of good coffee is an exquisite pleasure derived from its complex of 28 odorants. In this fruity, earthy, spicy bar, you will also discover vanilla, honey, butter and more. 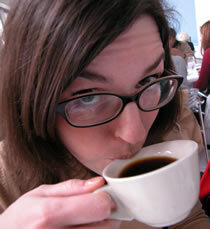 The scent of coffee can invigorate you and reset your sense of smell. Use it in your morning shower or at the kitchen sink, where it will remove strong food odors. We use costly coffee oil derived from select Coffea arabica beans through a supercritical CO2 extraction method. The nontoxic process employs no alcohol or petroleum products. Coffee oil is also the only colorant in this deep golden bar. We cannot create the delicate natural scent of this soap from instant coffee or synthetic fragrances. Cocoa butter in the soap supplies a rich moisturizer and complements the coffee fragrance. We tried adding coffee grounds, but we didn’t like the insoluble specks that remained. We preferred a smooth and creamy bar with our characteristic rich lather.